Here's mine, owned it just about 12 months now. There's a smile on my face every time I get behind the wheel! Collected mine yesterday. Based in Lanarkshire. Approved used from BMW Carlisle. Few options. Low mileage and Service Inclusive. Car is like new. Very happy with it. Yesterday is tomorrow over here or something like that! haha. I just happened to notice there were 3 pre-lci M6's in San Marino and one of them disappeared a few days ago. Great car, I'll be getting mine soon enough! all this talk is making my wait very painful for my M6, thats not due until Sept.
Cant speak for everyone obviously but no way I'd buy one of these without it being an approved used from BMW. Been stung in the past. Mr Brewer will gladly sell you an RAC warranty no doubt with a £500 claim limit, but yes agreed AUC is the way to go for me too. How low do you guys think the prices will get by next year? Mid £30ks from bmw dealers achievable? Glad to see so many members from e90post! As always over the next few years or so, these high end cars like others will fall into 2 camps ie the dogs and the nice ones and price will be reflected accordingly, then the cheepers ones will will become less leaving the desirable ones thus prices leveling out. In terms of £30k i think early 2013 cars will be high 30s next year, if your looking the advise has to be buy the best one you can afford. Well i'm still undecided between m4 vs m6....will need to see how it goes i guess. Well if you want the power and sound of that lovely V8 motor, then it's got to be the M6! Yes, these are the factors that make the m6 attractive! V8 noise and the extra power! And m6 tend to be more exclusive. This was the decision for me as well but having previously owned an E92 M3, I fancied something different, bigger car and bigger engine. Was also considering a new M4 comp pack. They had one in the showroom when I went to collect the M6 and it was stunning. Glad I went with the M6 though. Wont be long before you can't by V anything never mind a V8. ... Wont be long before you can't by V anything never mind a V8. You have a recent joiner (1 month) to the M6 Gran Coupe club here, based in the North East. I do like the fact they're not a common sight, plus it drives superbly well and goes like stink. Welcome aboard Dazza! No, not many M6s about, but as you say, nice we're in an exclusive minority 'club'. Are you going to Gaydon on Sunday (13th)? BMWCCGB Annual National Festival. I've been the last few years, but rarely see any 6ers, let alone M6s! Last edited by Airz; 08-11-2017 at 04:49 AM. Won't be there I'm afraid - too soon to holidays to arrange it either. Long time follower of this forum, I'm based in the North West. 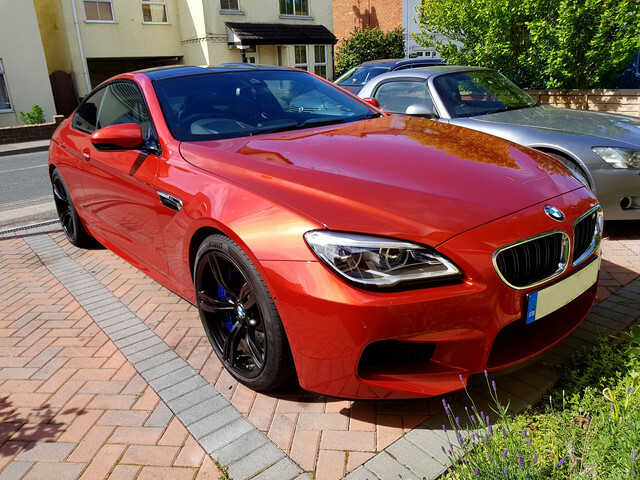 Picked up my M6 4 months or so ago, had been waiting for the right spec car/ low miles/ history to turn up for a while before that. There are hardly many around! !